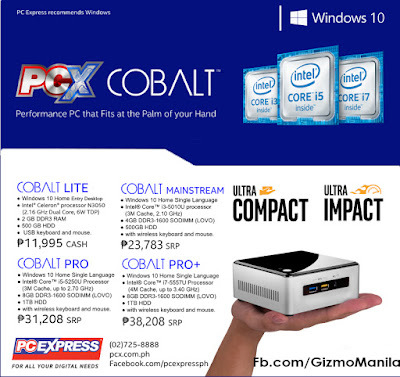 PC Express launches newest Desktop PC line-up on their 17th year partnering with Microsoft and Intel. 2 new lines of desktops under the brand name, “PCX”, PC Express tailors Windows-10 powered devices to suit the computing needs of every Filipino. 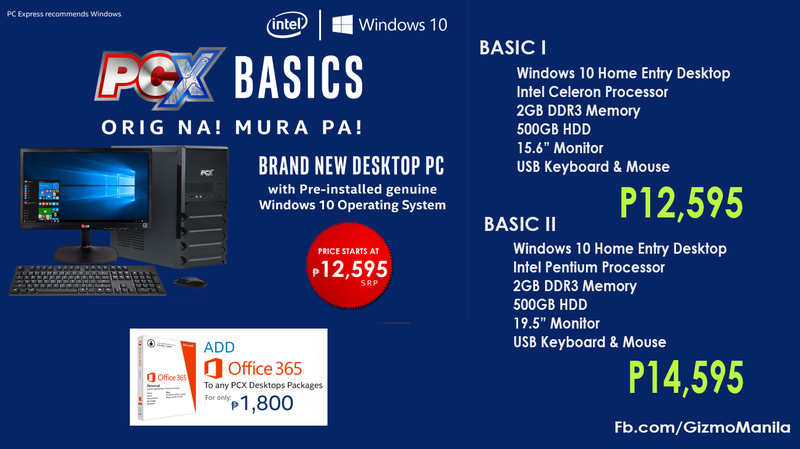 •PCX Basics - These desktops PC are the most affordable entry level desktops capitalizing on Microsoft’s Entry Desktop Operating system and are powered by the Intel processors. Price starts at P12,995. •PCX Cobalt – this mini PC showcases the future of desktop PCs powered by the Intel Processors, which can be configured with Windows 10 Home or Professional. 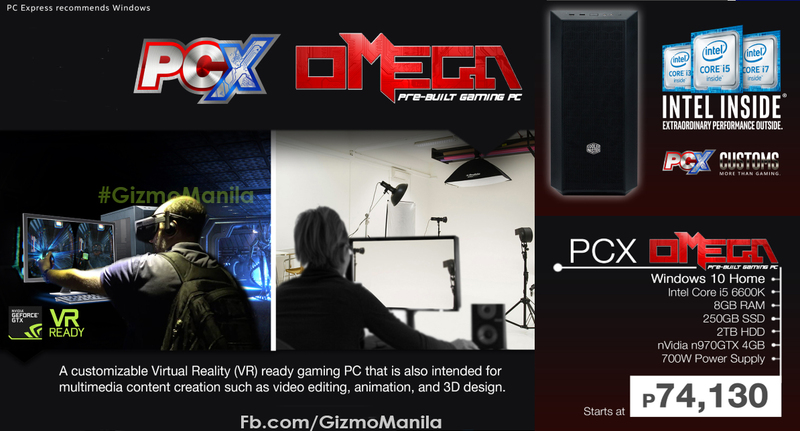 Price starts at P11,995. •PCX UNO – A micro business solution focusing on the coin-based Computer and internet business model, giving any business owner an easy-to-own and low-maintenance source of income. •PCX CAIO – a customizable all in one (AIO) desktop that supports a separate discrete graphic card intended for the use of internet café owners and school labs. •PCX Hornet – A compact gaming desktop running on Microsoft Windows 10 Home, Intel 6th generation Core Family processors and sporting a discrete graphics card for the best gaming experience. •PCX Omega – A customizable Virtual Reality (VR) ready gaming PC that is also intended for multimedia content creation such as rendering video, animation, and 3D designs. 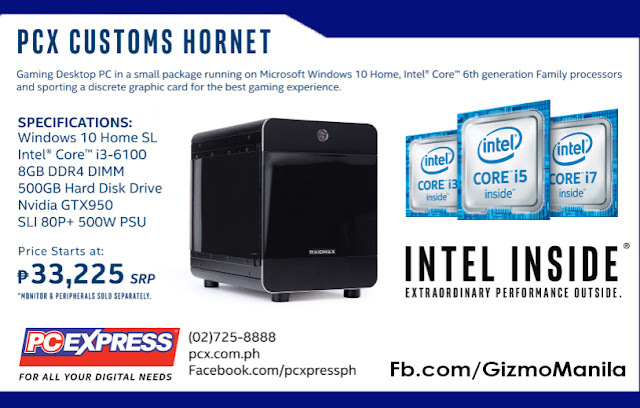 PC Express will having several mall tours across Metro Manila. For more details about the event visit FB.com/PCX.